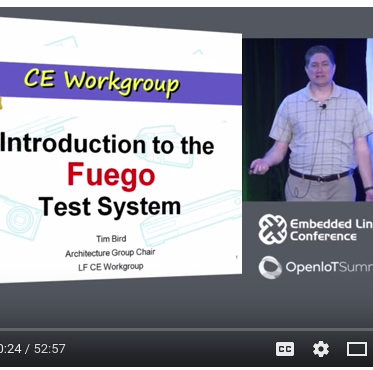 Fuego is a test system specifically designed for embedded Linux testing. It supports automated testing of embedded targets from a host system, as it's primary method of test execution. The quick introduction to Fuego is that it consists of a host/target script engine and over 100 pre-packaged tests. These are installed in a docker container along with a Jenkins web interface and job control system, ready for out-of-the-box Continuous Integration testing of your embedded Linux project. Just add your board, a toolchain, and go!